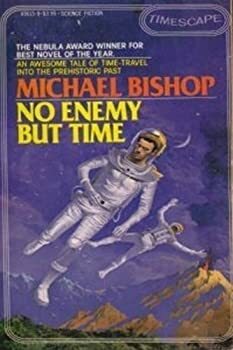 Michael Bishop (born November 12, 1945) is a Locus Award-winning and Hugo Award-nominated American writer who has written over thirty novels in his decades-long career. CLICK HERE FOR MORE STORIES BY MICHAEL BISHOP. Mankind is a creature which occupies itself predominantly in the present. Smoking, murder, alcohol abuse, poor diet, resource wastage — all of these habits and behaviors alleviate the moment but do nothing to bolster the idea a human is aware of, or concerned with, the long term existence of itself or the species. Moreover, it’s fair to say that when one does bring in the long view, “recent” history and near future remain the focus. Our primitive roots are left to esoteric niches of science (archeology, anthropology, and the like) available almost exclusively in museum corners and textbooks. Dinosaurs seem to get more attention than Cro-Magnons. But yet our slumped, hairy forbears are an essential part of the evolutionary formula that has brought homo sapiens to its current point of existence, for better and worse, and will always be, no matter what humans evolve into.